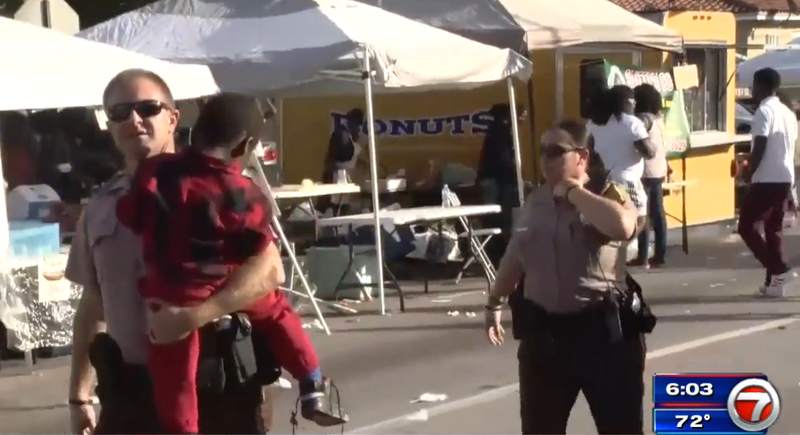 A Martin Luther King Jr. Day celebration in Miami went awry after a shooting left eight people injured, WSVN reports. According to the Miami-Dade Fire Rescue, three juveniles and three adults were shot during the celebration at the Martin Luther King Jr. Memorial Park. Two other juveniles were grazed by bullets and were treated on the scene and released to their parents. The news station reports that five of the six victims who were hospitalized were listed in stable condition, while the sixth victim, a 20-year-old man, underwent surgery after being listed in critical condition. The victims ranged in age from 11 to 30 years old. On Monday evening, the Miami-Dade Police Department confirmed that two people were detained for question, and two weapons were recovered from the scene.